Financial risk is a central worry for many observers of the Chinese economy. Specifically, indebtedness in the non-financial sector, which has risen rapidly since the deployment of the CNY 4 trillion stimulus package in 2008, has stoked concern about the soundness of China’s financial system. For several years, mainstream analysis has cautioned—and continues to warn—that China’s indebtedness has breached the levels that signal an impending debt crisis. For instance, the “credit-to-GDP gap,” which was proposed by the Bank for International Settlements (BIS), measures how credit growth has deviated from the long-run trend implied by economic fundamentals (i.e., GDP), and it proves to be an effective early warning indicator of financial crisis. 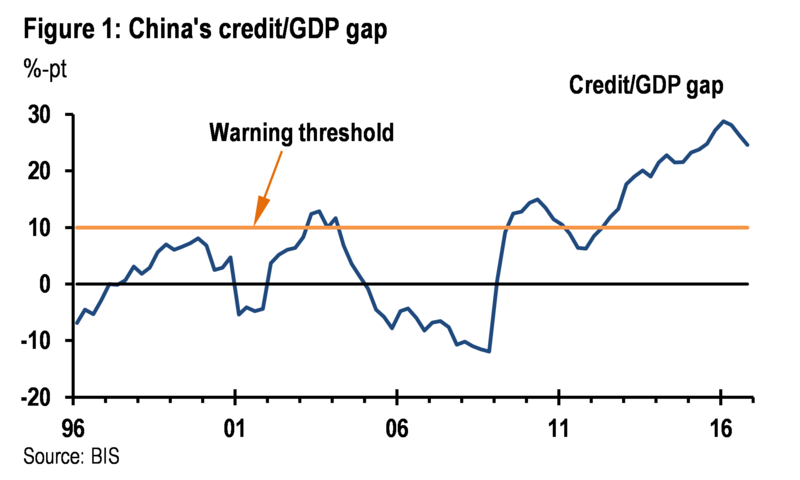 China’s credit gap has far exceeded the 10% warning threshold since 2009, peaking at 28.8% in 1Q16, thus suggesting significant financial vulnerabilities (Figure 1). Similarly, the International Monetary Fund (IMF) has used the financial data of thousands of listed companies in China and calculated the “debt-at-risk” ratio, which is defined as an interest coverage ratio (EBITDA/interest expense) of below 1. The IMF warned that the total debt-at-risk held by Chinese non-financial firms rose from 7.4% in 2013 to 14.1% in 2015, with an implied potential loan loss at about 7% of GDP. The assessment on China’s financial risk, however, appears inconsistent with the relative calm in China’s financial market. In spite of modest increases in recent years, the non-performing loan (NPL) ratio of Chinese banks has remained below 2%, in general, and below 6%, with the inclusion of special mention loans. Considering the various buffers within the banking system, such as excess capital, loan loss provisions, and bank profit, it does not appear that China’s financial sector will fall into a crisis in the near term. In general, assessment based on conventional indicators fails to reflect, or at least delays accounting for, the mitigation of China’s financial risk since 2016. But in fact, with the government’s efforts in overcapacity reduction and growth stabilization, China’s macroeconomic situation has improved notably since 2016. PPI inflation rebounded from -5.9% in late 2015 to 7.8% in February; nominal GDP growth rebounded from 6% in 4Q15 to 12% in 1Q17; and industrial profit growth rose from -4.3% in 4Q15 to 27.6% in 1Q17. As a result, the formation of new NPLs has decelerated and worries about a debt crisis notably waned over the course of 2016. By contrast, reported credit gap and debt-at-risk (modestly) stabilized only very recently. In the past several years, a small branch of literature has emerged to develop alternative approaches for assessing the systemic risk of China’s financial sector. Fan et al. (2013) suggest that the systematic distance to default can reflect well the systemic risk in China’s banking sector. Huang et al. (2015) examine systemic risk in the Chinese banking system by estimating the conditional value at risk (CoVaR), the marginal expected shortfall (MES), the systemic impact index (SII), and the vulnerability index (VI) for 16 listed banks in China. Fang (2016) builds a balance sheet network model, which takes into account banks’ deleveraging, bankruptcy and spillover mechanisms, and shows that systemic risk is mainly driven by bank assets and interbank connections. Yang et al. (2017) explore the architecture and determinants of the transmission of financial shocks among China’s financial institutions. They find that, although banks still dominate China’s financial system, non-bank financial institutions have considerable influence as well. Additionally, the role that each financial institution plays in the transmission of financial shocks is not static but varies over time. Against this backdrop, Hao Zhou, Haibin Zhu and Xiangpeng Chen from the National Institute of Financial Research at Tsinghua University have adopted a new set of indicators for measuring the systemic risk in China’s financial sector and the systemic risk contribution of individual financial institutions. These indicators incorporate equity price data and modern portfolio credit risk techniques, especially the pricing of catastrophic risk, and successfully combine macro- and micro-dimension analysis in systemic risk assessment. Compared to conventional early warning indicators, these new indicators have certain advantages, namely: i) the assessment and updates are timely; ii) the information content is forward-looking rather than backward-looking; iii) they will incorporate the impact of changes in forward-looking market confidence, which often play an important role in financial crises; and iv) the information content is less likely to be subject to reporting error or data quality problems. The macro-dimension systemic risk indicator, which was proposed by Allen et al (2012), is CATFIN. It uses extreme value theory to measure catastrophic risk in the financial system. 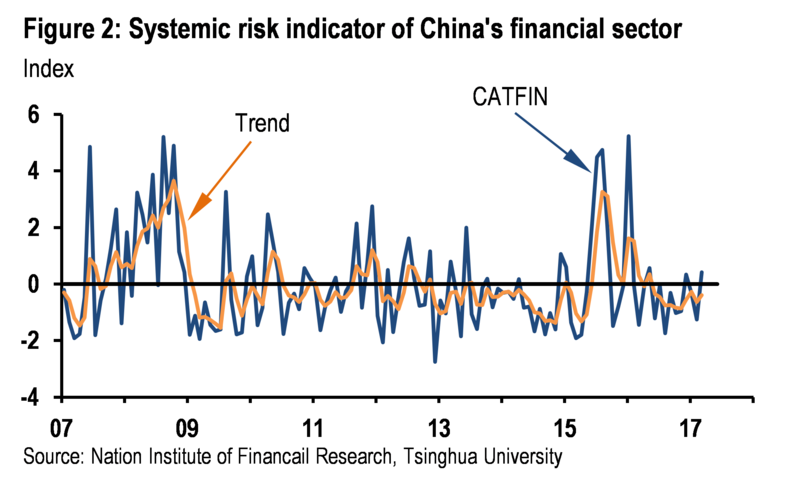 The CATFIN measure shows that China’s systemic risk increased notably in 2015, but has leveled off remarkably since 2016, and has remained at historically average levels and has exhibited low volatility in 2017. The deterioration and subsequent improvement in China’s financial risk is consistent with China’s macroeconomic developments. While indebtedness generally has risen rapidly since 2008, the pressure on the financial system also depended on business cycle and financial cycle movements. In 2015, economic growth continued to slow down. Nominal GDP growth was only 6% in 2H15, as nominal growth in the manufacturing sector approached zero—both of which were historical lows. Industrial profits weakened, especially in high-indebted corporate sectors. PPI deflation continued into the fourth year and widened to -5.9% in late-2015, suggesting high real borrowing costs for the corporate sector. Monetary policy was biased towards tightening, with credit growth decelerating until mid-2015. And large corrections in the stock market and CNY depreciation in 2H15 further intensified market concerns about China’s financial stability. Unsurprisingly, the CATFIN measure rose rapidly in 2H15. The improvement in financial risk outlook has benefited from the recovery in the macro-economy. On the policy front, both fiscal policy and monetary policy have become more accommodative since 2H15, leading to economic recovery in 2016. Reduction in overcapacity industries (e.g., steel and coal), together with the turnaround in the global commodity cycle, led to PPI-reflation and a rebound in industrial profits and nominal GDP growth. In addition, government efforts to stabilize the equity market and the increasing transparency in the CNY exchange rate regime during 2016 helped to quell any panic in the financial market. These positive developments continued into 1Q17, as reflected in strong infrastructure and real estate investment data, strong PMI readings, further improvement in industrial profits, and strengthened regulation from policymakers (i.e., financial deleveraging effort) and risk management by banks. Based on the financial data of 11 listed banks, overdue loans in 4Q16 dropped 6.2% from 3Q16, and special mention loans were largely unchanged quarter-over-quarter. The potential for commercial bank asset quality deterioration continued to diminish in 1Q17. The micro-dimension systemic risk indicators include SES proposed by Acharya et al (2010), ΔCoVaR proposed by Adrian et al (2016), and SRISK proposed by Engle et al (2012). 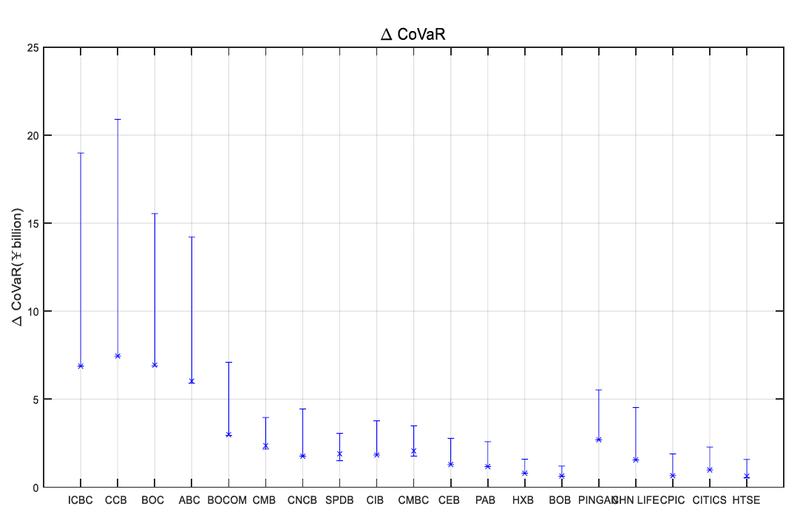 Both SES and SRISK measure expected shortfalls for individual financial institutions under systemic distress, while ΔCoVaR measures the expected value-at-risk for the financial system if tail risk befalls an individual financial institution. The micro-dimension analysis provides both complimentary and new findings to the systemic risk assessment. First, the average systemic risk contributions of major financial institutions exhibit similar dynamics as CATFIN (Figure 3), suggesting an increase in systemic risk in 2015 and notable improvement since 2016. Analysis on individual financial institutions, however, suggests that, in addition to general macro- and financial market developments, bank-specific characteristics also play an important role in affecting systemic risk. For instance, the increase in systemic risk between 2011-2015 reflected bank decisions to take advantage of policy stimulus and rapidly expand their balance sheets. The financial system became more interconnected in the process, as liquidity increasingly flowed out of banks’ balance sheets and into the shadow banking system. In other words, both “size” and “interconnectedness” are important contributors to systemic risk indicators, and both increased during this period. Second, the micro-dimension analysis illustrates different dynamics in systemic risk contributions from individual financial institutions. For instance, the systemic risk associated with major financial institutions (especially large state-owned commercial banks) declined in 2016 and stabilized in 2017. 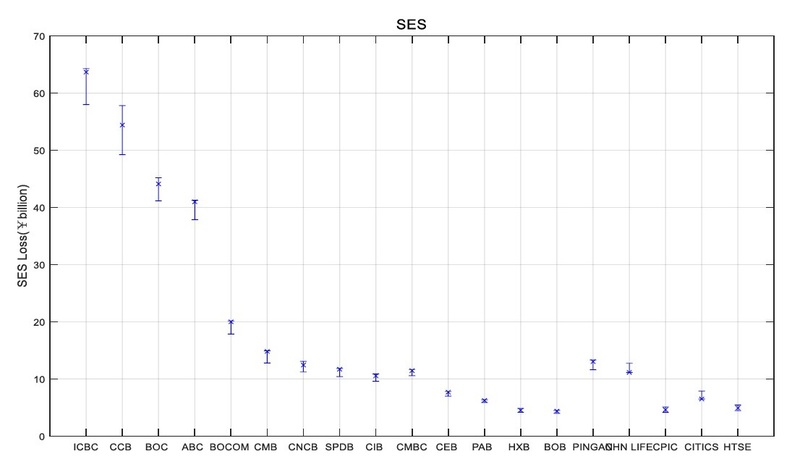 But several joint-stock commercial banks, such as Minsheng Bank, Everbright Bank, Industrial Bank, and Pudong Development Bank, experienced increases in their systemic risk indicators (Figure 4). Accordingly, the risk profiles of some joint-stock commercial banks warrant special attention from the regulatory authority. The current value of the indicated risk measure, plotted with the maximum and minimum month-end values over the past 12 months (Apr. 2016 – Mar. 2017). Overall, these new sets of systemic risk indicators not only provide an alternative perspective in risk assessment, but also may serve as important tools for policymakers. The most timely assessment on systemic risk, which reflects both fundamental and sentiment changes, suggests that the recent cyclical improvement provides a precious window of opportunity for addressing China’s debt problem. Moreover, the micro-dimension analysis suggests that the systemic risk associated with some joint-stock commercial banks is worth monitoring closely. To avoid systemic risk fallout, financial regulation and policy measures should be coordinated and consistent, and the regulation on systemically important financial institutions should be strengthened. The views expressed in this report are those of the authors and do not necessarily represent the views of J.P. Morgan Chase Bank. Acharya, Viral V., Lasse Heje Pedersen, Thomas Philippon, and Matthew P Richardson (2010), “Measuring systemic risk,” Working paper, NYU Stern. Adrian, Tobias, and Markus K. Brunnermeier (2011). “CoVaR,” National Bureau of Economic Research. Allen, Linda, Turan G. Bali, and Yi Tang (2012), “Does systemic risk in the financial sector predict future economic downturns?” Review of Financial Studies, 25, pp. 3000-3036. 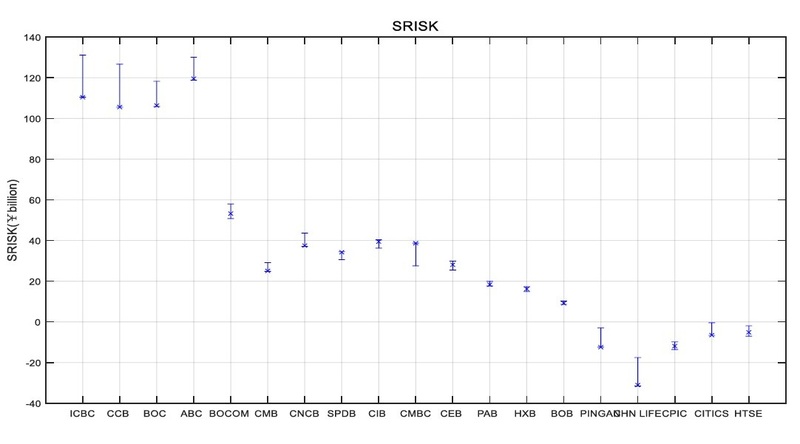 Brownlees, Christian T., and Robert F. Engle (2015), “SRISK: A Conditional Capital Shortfall Measure of Systemic Risk,” available at SSRN 1611229. Huang, Q., J. de Haan, and B. Scholtens (2015), “Analyzing Systemic Risk in the Chinese Banking System,” available at SSRN. Fang, Y. (2016), “Study on the Transmission Channel and Measure of Systematic Risk: for Macro-Prudential Policy Implementation”, Management World, 8, pp. 32-57. Yang, Jian, Ziliang Yu, Yandong Jia and Jun Ma (2017), “Financial shock transmission among China's financial institutions from a global perspective,” PBC Working Paper No. 2017/4. Fan, X., Yi Fang and Daoping Wang (2013), “Systemic risk and systemically important financial institutions of China's banking system: An analysis based on CCA and DAG,” Journal of Financial Research, November, pp. 37–58. International Monetary Fund (2016), Global Financial Stability Report: Potent policies for a successful normalization, April.